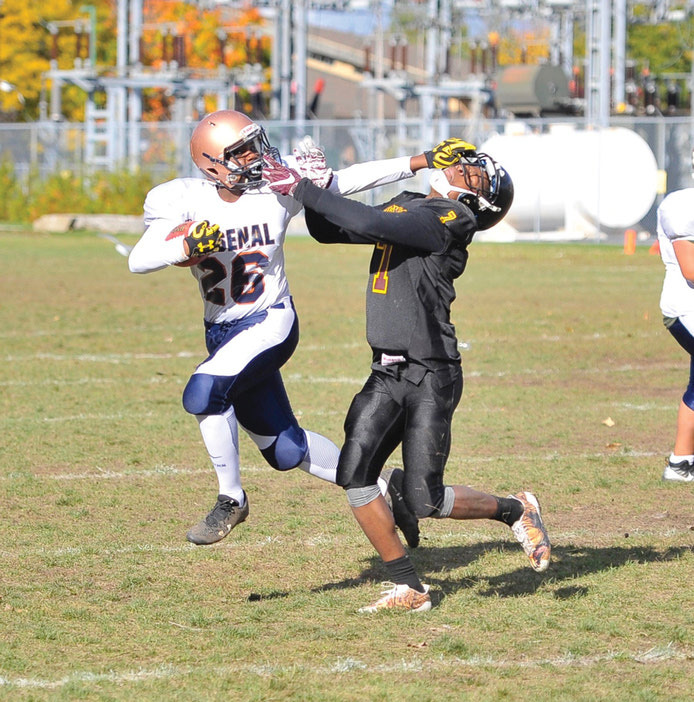 On October 13, both D’Arcy McGee High School football teams played contrasting games. The junior team lost to the Nouvelles Frontieres Arsenal 43 - 6. In the photo, a Junior player, Pierre-Maxim Mukandila and Arsenal player number 26 grab each other’s face masks resulting in penalties. The Senior team won their game against the du Versant Vortex, 21 - 0. 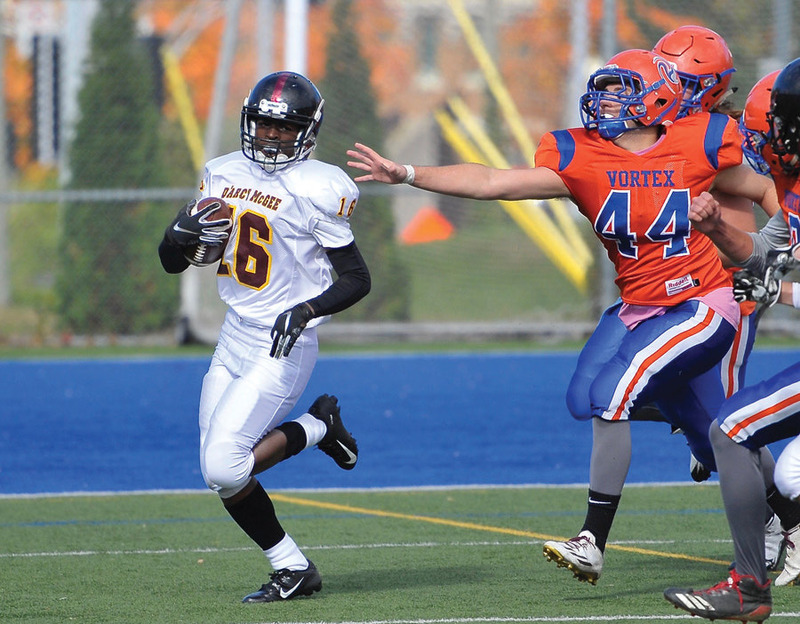 Pictured is D’Arcy player Thierry Sampson avoiding a Vortex defender.